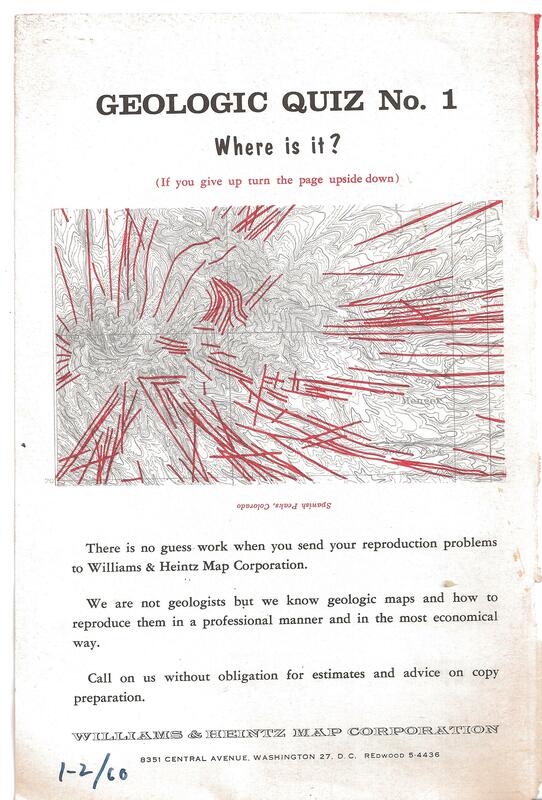 In 1921, my great grandfather Louis Heintz, came home and announced that he was quitting his job at the US Geological Survey, to start a map printing company with three of his coworkers. He was a stone lithographer. Back then, the market opportunities were in creating tax maps. Cities and municipalities needed maps because they were missing out on revenue, as there were no accurate maps. In World War II, my Grandfather, William Heintz, was running the company. He learned the importance of good accounting when the war ended. After printing like mad, he had made enough money to buy a new press. His contemporaries however, had made enough money to buy whole new printing plants. So he brought in an outside accountant to go over his books. Upon the arrival of the accountant, the employee who had been quoting prices during the war, got up and left. As it turned out, the employee thought that it was unpatriotic to profit from the war effort. 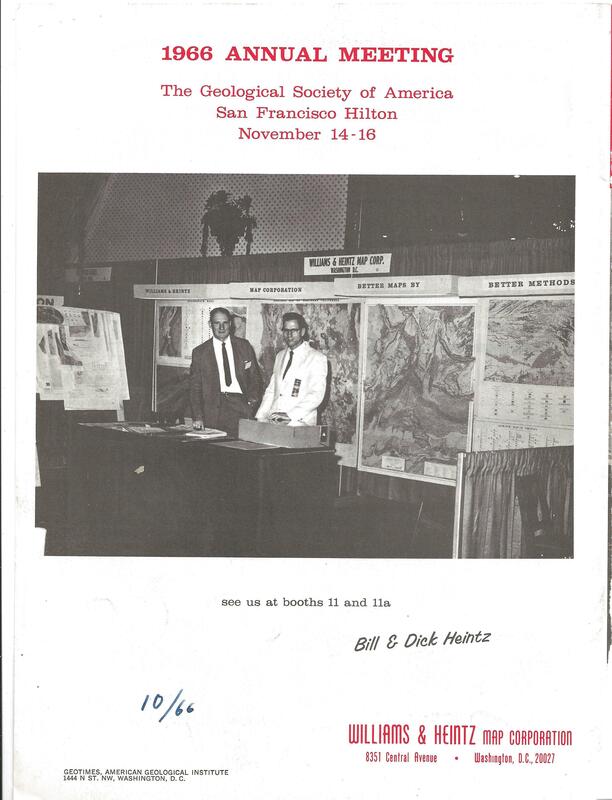 So Williams and Heintz worked tirelessly for the government during World War II printing maps of Europe, the Pacific, charts for pilots on sized linen. We printed them at cost. 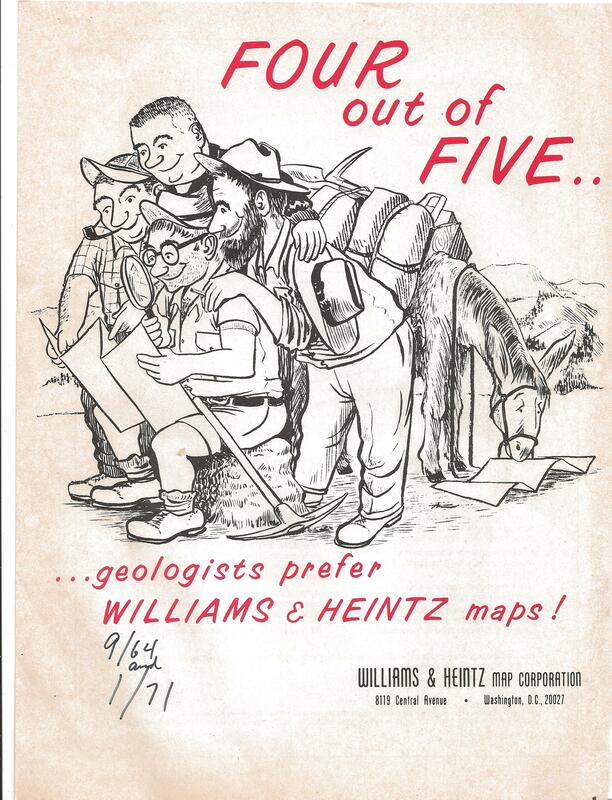 By the fifties, when my father, Richard Heintz, started working at Williams and Heintz, we specialized in making and printing geologic maps. We created with the Geo-color Guide which established a library of tints and colors for geologic maps. This concept was later adopted by the US Geologic Survey. Today at Williams and Heintz Map Corp., we still specialize in printing large format cartographic work. The substrates have changed, we print a lot of maps on plastic, which is very durable. The technology has advanced and the processes are better for the environment. But the maps are unique. Printed maps are still here because they give you the big picture. When used in conjunction with GPS and mobile apps, they make for an unbeatable combination. Without maps,you may get you where you want to go but you wont know where you are.